It seems that these days everyone has a blog and so you may be wondering what the point would be of starting your own. I mean, isn’t there another blog already saying the exact same thing you’re saying? The answer to that question is an almost definite yes. Depending on who you ask, there are at least 22 billion web sites in the world (3.6 for every man woman and child on the planet) and possibly as many as 240 billion web pages. In all of that, the odds are quite good that whatever it is you have to say has been said before. In fact, if you search for the phrase “why you must have a blog to be successful in marketing” (without quotation marks), you will find 82.2 million hits on Google, so clearly you are not likely to be writing a blog in order to share new information that no one else will be sharing. Establish credibility. People like reading blogs and often prefer them to news sites because they are perceived as more honest and as reflecting personal opinions. If you show people you know a lot about your particular area of expertise, you are that much more likely to get their business because they feel from reading what you have to say that you are an expert. Establish a relationship with customers. This is somewhat related to the previous reason, but slightly different. Blogs don’t just show people your expertise in a subject. They also create a relationship between you are your customers. Since your customers can comment on your blog, they will start “talking” with you and that newly made connection can then be used to build trust and thus increase your business. Keep them coming back. 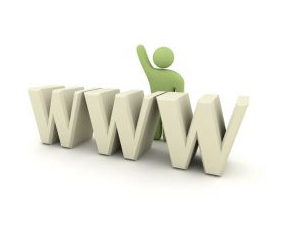 Remember those 22 billion web sites? They’re all looking for people to come and hang out at their sites. The way they get people in the door initially is through advertising and SEO (something we’ll talk about in other blog posts). The way they get people to come back though is to have new things to say all the time so that people are visiting constantly and telling their friends about the great ideas they found, like why you must have a blog to succeed in business. Besides all these reasons, there is one final reason to have a blog, which has little to do with business: It’s fun and rewarding. We’re all experts in something – whether you make your living as a teacher or a truck driver or as a beautician or a business man, we know things and human beings are wired to share with each other – having a blog gives you the chance to share what you know and gain satisfaction from it (not to mention possibly earning a few bucks in the process).